With dynamic cities, scores of must-see landmarks and a rich cultural heritage, each country in the United Kingdom has its own unique charm. 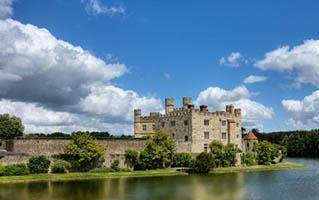 From north to south, the mainland is only 960km long, which means you can make the most of the extensive road network to visit a good number of the UK’s best attractions in just a week or two. To make this even easier, we have more than 200 pick-up locations located at airports, train stations and cities stretching from Scotland to the southern coast of England, including London, Heathrow Airport, Manchester Airport and Edinburgh. We offer a wide range of hire cars in the United Kingdom to suit all needs and budgets, from reliable family cars to luxury vehicles. 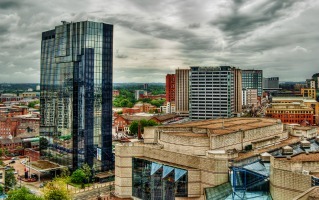 The UK is an eclectic mix of four countries each with their own individual character, traditions and attractions. A visit to one or all of them will find you immersed in the living sense of history that pulses through their towns and cities. Encounter spectacular scenery, quaint villages and world-famous landmarks – from Hadrian’s Wall in the north to the ancient Stonehenge in the south. It’s small wonder that it’s one of the leading destinations in Europe for business and leisure trips. From the Industrial Revolution to the works of Shakespeare, England has left an indelible mark on the world. York is a must-see city in northern England. Meander along the 13th century walls that weave through the city to take in the sights from up high. To reach dizzier heights, climb the 275 steps of the towering York Minster for a stunning view of the city and beyond. One of the largest cathedrals in Europe, York Minster boasts the dazzling Great East Window, a stunning example of medieval stained glass. Watch the light stream through the recently-restored panes, illuminating the rainbow of colours and making the intricate artwork seem to glow. Stroll the pristine streets and manicured green spaces of Stratford-upon-Avon in the Midlands – the birthplace of the great playwright William Shakespeare. Take in a show at The Royal Shakespeare Theatre to see the bard’s famed works performed in his home town. From its winding alleyways and quaint courtyards to its distinctive architecture and gastronomic delights, Edinburgh is a city brimming with character. A melting pot of historic intrigue and contemporary culture, there’s something for every traveller. Explore the city beneath the city and take an eerie midnight tour of the Edinburgh vaults, or dive into the eclectic arts scene at the Fringe Festival in August. 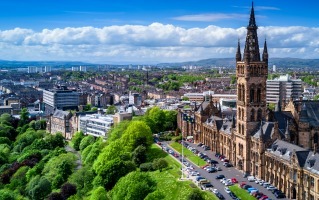 Glasgow, Scotland’s second city to the east, has a host of attractions including the popular Kelvingrove Art Gallery. Step inside this stunning baroque-style building, and browse exhibits on everything from ancient Egypt to Scottish architect Charles Rennie Mackintosh. Famous for its sweeping coastline, lively cities and green, undulating landscapes, Wales is as beautiful as it is dynamic. Cardiff, the Welsh capital, is a commercial and student hub on the south coast. Watch live sport at the Principality stadium, step back in time at Cardiff Castle or spend an afternoon at the Cardiff Museum, viewing everything from fine art to fascinating archaeological finds. You can also head north to experience the beautiful Snowdonia National Park. Climb aboard the steam train at Snowdonia’s Summit Station to be chugged to the top of the highest mountain in Wales – Mount Snowdon. Gaze out at the stunning craggy peaks, lush greenery and mirror-like lakes. Take a deep breath of the fresh mountain air, and be awe-struck by nature at its most raw and beautiful. You can enjoy city life as well as calming countryside in Northern Ireland’s capital, Belfast. Dive into the city’s rich history of shipbuilding at the Titanic Museum. Trace back the origins of this magnificent ship, from its construction in Belfast docks to its fateful first voyage. The UNESCO-listed Giant’s Causeway has to be seen to be believed. Marvel at the staggering, hexagonal rock formations which contrast with the weather-beaten coast. Be sure to stick around until sunset to see the rugged beauty of the place soften, as the light fades and the rocks take on an ethereal glow. The United Kingdom has so many wonderful sights to behold, and a rich history running through every city and town. Hiring a car with Hertz means you can travel the length and breadth of the country to discover all that the UK has to offer. 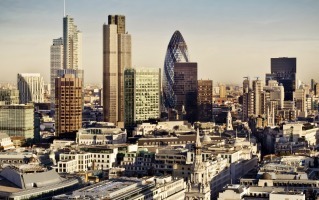 If your starting point is London, then you’ll probably find yourself using the M25 motorway. This orbital route snakes right around the capital, so you can use it to access the suburbs of the city, too. If you’re heading north, perhaps to take in the picturesque countryside of Yorkshire – home of the literary Bronte sisters – you’ll need to take the M1 motorway. Along the way you’ll pass through the Midlands, where it’s worth a detour to spend a day in the delightful Stratford-upon-Avon, birthplace of William Shakespeare. You can also turn off the M1 to take the M6 to Birmingham, England’s second city and a growing commercial and tourism hub. A section of the M6 is a toll road, which runs north of Birmingham into Cannock. 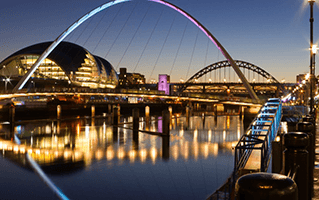 Following the full 310km route of the M1 will bring you to the rejuvenated Yorkshire city of Leeds, from which England’s previous capital, York, is just a short drive away on the A64. Here you’ll find charming medieval city walls and the awe-inspiring York Minster. Head east from Leeds on the M62 and you’ll reach Liverpool, a perfect pilgrimage for fans of Beatlemania, where The Beatles Story museum and iconic Cavern Club await. From here you can catch a ferry to Belfast, Northern Ireland’s elegant capital with charming parks, hearty food and a proud history of shipbuilding. If Scotland is your end destination, carry on up the A1 north to Edinburgh, its historic capital city. Indulge in a shopping spree at designer shops and quirky boutiques while admiring the mix of centuries-old architecture. 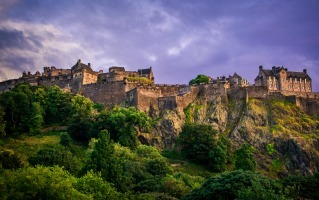 Wander picturesque cobbled streets and pay a visit to the spectacular Edinburgh Castle. You can head west from London along the M4 to check out the Georgian mansions, luxury spas and unique architecture of Bath. Continue on from here to the beautiful beaches, craggy clifftops and steep hills of Wales. Speed limits in the UK are 112km/h on motorways and dual carriageways, 96km/h on single carriageways and 48km/h in built-up areas. Central London also has a congestion charge, which is cheaper if you pay in advance via the Transport for London website.